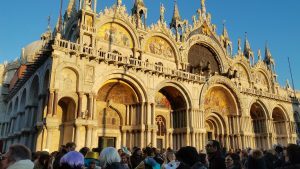 I am going to go through five things I learned and did the first couple days living abroad. 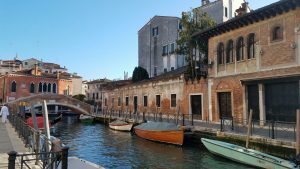 I hope this can help you with avoiding some of the confusion that one goes through their first week living in a new country. It is super important to mentally prepare yourself for the move abroad. You are going to be living, for however long; whether it’s 4 months or a year, in a new place. It is not where you are from. I knew that I had to prepare myself mentally to be settling into a new place and a completely different environment away from family friends and everything I pretty much grow up with. I also knew that there may not be people like me where I was going to. I grew up in a pretty diverse background where it was pretty easy to find things from my culture right next door. The place where you could be moving to and living in may or may not be similar to where you grew up. 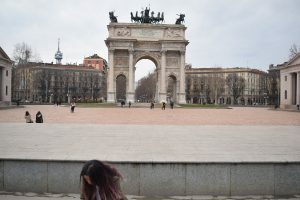 For example, there are not a lot of people from my ethnic or racial background in Florence and besides the tourists it is Homogeneous, something very different where I am from. This was a bit of a culture shock and could be a similar situation for you. It is easy to get discouraged, so get to know yourself and be prepared to be learning in a new environment. It’s all a learning experience. Even though I live in the States, I’m an immigrant there, and I knew from past experience that acclimating to a completely different environment when you don’t know the language and trying to fit in when you look like no one else can be difficult if you don’t prepare yourself for that. Once I mentally prepared myself to be in a completely new place and that I could expect that nothing would be like what I was used to, it became easy for me to open myself up and enjoy all the new things that I was experiencing. In the States, I live in a city, so I am used to being able to get on public transportation at a moment’s notice, or rely on rideshare apps such as Uber and Lyft. This was something that when I was living in the States took complete for granted. 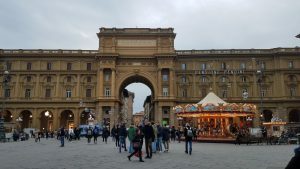 Florence is a city in itself as well, but it is completely different than a city like Boston or New York where you can easily just jump on the public transit. It is a walking city. Everything is in close proximity and it is easy to learn your way around. So I’d advise that if you’re transitioning from one place to another, to take some time to learn about transportation and determine what would be the right fit for you so you can get around easy. Secondly, definitely invest in a good pair of walking shoes until you can really figure out a navigate your way around while you determine the public transit in the place that you are living in. As I mentioned before, I’m from the city. This means that I’m used to big shopping markets and pretty much everything being in one place all the time. This is not the case in a city like Florence. Things tend to be seperated, and everything has its place. Home goods you’d get at a home shop and produce you get best and is most fresh at a local weekly market and bread at a bakery, and so and so on. This is something that I really love, but took me a little bit getting used to you, especially since I didn’t come knowing a language or customs. So learning things like always wearing gloves when you’re touching the produce if you’re in a supermarket so that little old ladies don’t get upset or that your local market is the prime place to get anything fresh from fruits and vegetables to fish and Poultry was new to me. Also, I made the mistake of not weighing and putting the price on my produce before going to the cash register, which stunted the line and made things a bit awkward. In light of this, I would suggest to look up the local supermarket nearest you. It will alleviate some of the stress that you may have your first week. Especially if this is your first time living alone in an apartment and making your own meals. Also, reserve spare money because in the meantime you may be eating out those first couple of days till you are able to navigate the local markets efficiently. Moving to a new country can be super exciting and almost everything is a photo opportunity. Of course if you are extraverted like me, you definitely want to check out the local nightlife and take advantage of all the opportunities that you can. But remember, sleep is important. One thing that I did do, is that I made sure that I got over that nasty and somewhat in-the-way jet lag. 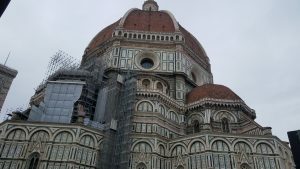 I was dealing with a 6 hour time difference that I had to get used to; which didn’t seem like a lot in theory, but definitely counts when back home it was 8 at night while in Florence it was 2 in the afternoon. I made sure to drink lots of water and force myself not to sleep until 8 pm. I got to Florence and moved into my new apartment on a Monday so by the end of the week I was acclimated and all ready to the time zone and was able to take advantage fully of the daytime. This allowed me to get that much more in tune with the cultural habits. I’m glad I did it because now I’m enjoying living abroad all the more! I hope that wherever you’re settled you are enjoying your time there remember you’re living in a new place so take as much advantage of your time there as you can because experiences like this can be once in a lifetime. Love is a spring 2018 SAI Florence student from Massachusetts College of Art and Design.